Recent news that Penrith, Australia was the hottest place on earth was underlined by videos of melting highways. Penrith, a suburb of Sydney, reached 47.3° C (117° F), enough to turn asphalt into a sticky mess and force drivers onto less gummy shoulders. 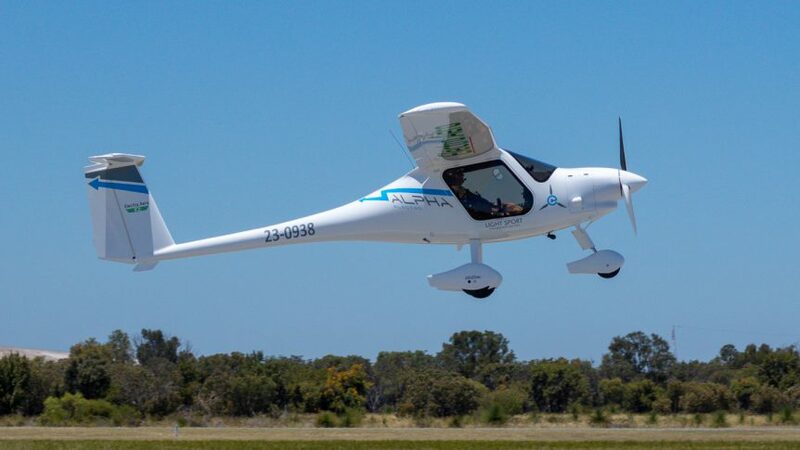 Joshua’s company took delivery of a Pipistrel Alpha Electro, and flew it on January 2, a first in Australian aviation. He and his team are offering two-hour instructional flights in the new aircraft for $220 AUD (about $172 USD). This opportunity to take lessons in an electric airplane will include the benefits of quiet, smooth flight. But heat brings on turbulence, and even with an electric motor not affected by temperature changes, reduces takeoff and climb performance. Perth has experienced record highs recently in the 108° F range. Your editor’s experience in Cessna 150’s at 90° temperatures would make the decision not to fly in even greater heat an easy one. The report from Electro.Aero suggests that all went well, though for Australia’s first certified electric flight. “The aircraft flew two circuits in the traffic pattern at Jandakot Airport, a major general aviation and flying training airport in Perth. This marks the first time a certified electric aircraft has flown in Australia. The first flight went very smoothly, and the aircraft was back in the air soon afterwards to begin training the flying instructors who will soon be training new pilots on the aircraft. 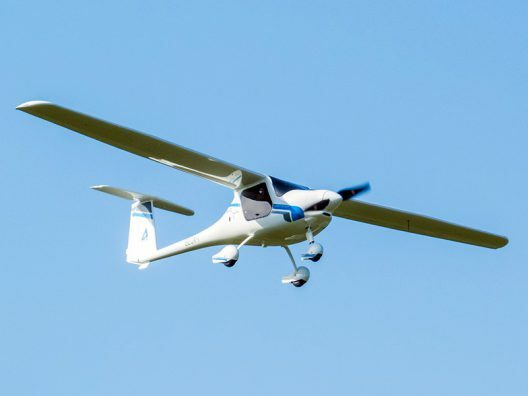 Electro.Aero will expand their electric offerings when they take delivery of a SunFlyer 2, currently under development in Colorado, and later when they add the SunFlyer 4 to their fleet. These low-wing aircraft, with solar cell augmentation to their battery power, will enhance Electro.Aero’s place as a trend-setter in green aviation. The SunFlyer 2 received an enthusiastic writeup and a cover picture on the November, 2017 issue of Sport Pilot, the publication of Recreational Aviation Australia, down-under’s Experimental Aircraft Assocation. Joshua has been busy in America, too, developing FlyKart with partner Rob Bulaga at Trek Aero. 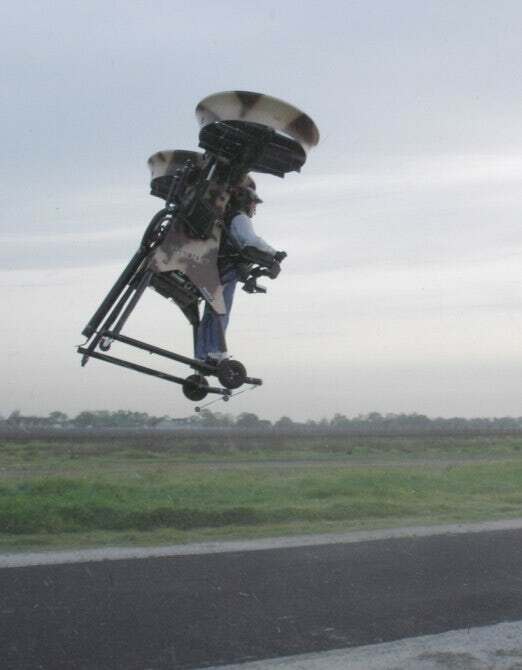 Rob’s work includes personal air vehicles that offer vertical takeoff and landing capabilities while possibly carrying a Marine into battle. One such example resides at the Hiller Aviation Museum in San Carlos, California. With Joshua’s energetic leadership and a product that will lure new pilots to Perth, Electro.Aero seems to be off to a good start. Good luck to all involved.